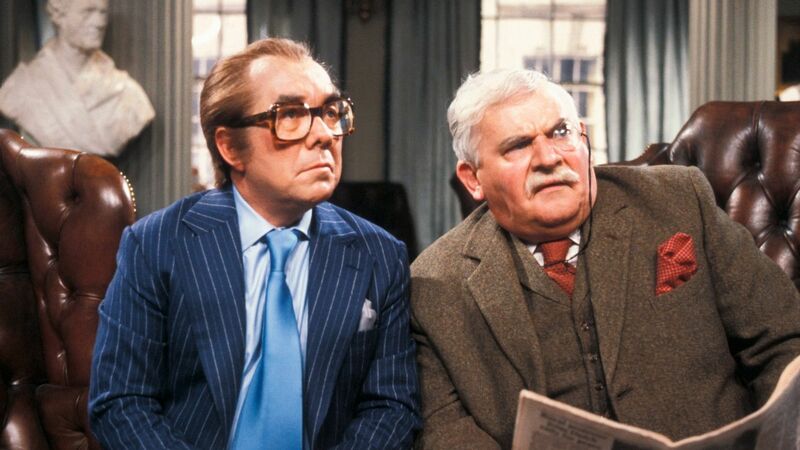 Here's where to watch every episode of The Two Ronnies season 11. Mouseover or tap an episode to see where to stream it. Click or tap the play icon to stream it on the best available service. Episode 1 Feb 13, 1985 Sketches include some homespun philosophy by two yokels, there is a musical sermon about sin, two tramps are deep in discussion, a doctor's surgery becomes automated, the only two man one-man band entertains us with a musical number, Ronnie tells us how he went about getting a pay rise, and the final drama is called 'Sunshine Boulevard'. The musical performer is Elaine Paige. 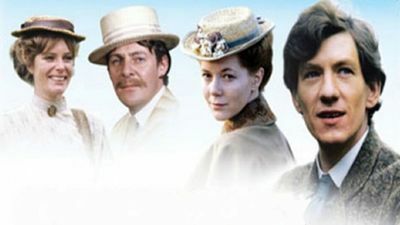 Episode 2 Feb 20, 1985 Sketches include a party where there is a communication problem, a government spokesman looks into the future, we enjoy a song from the racetrack, we head to a cold Russian peasant cabin, Ronnie tells us how is respected at the BBC before telling a Scottish joke, a couple of tramps share a story, and the final musical/drama is called 'Caribbean Nights', and stars Jim Lockstock and Johnny Barrel on board a cruise ship. The musical performer is Elaine Paige. Episode 3 Mar 6, 1985 Sketches include what can happen when you live too close to a cricket ground, we visit a piano bar where there is a case of mistaken identity, we are informed with an information session by a weather forecaster, we are at a party where there is some discussion about ethnic origins and people's names, two tramps discuss telescopes, we hear some poetry in an episode of Trolleybus, Ronnie promises not to ramble during his joke and tells a joke about priest putting his trust in God, overcoming misunderstandings one day in a delicatessen, and we finish with 'Plop of the Flops' hosted by Dave Lav Trellis featuring Steamy Winder, Big Momma and Status Who. The musical performer is Elaine Paige. Episode 4 Mar 13, 1985 Sketches include a visit to the pub where one drinker tries to finish the sentences of the other, we receive a message from Lucifer Hornsby who is the Grand High Wizard of the Emetic of the Golden Rivet Hendon Branch, two tramps discuss a relative, there is a problem in colonies in Africa that requires a quick exit, there is a performance by some dancing marionettes, two tramps discuss stinginess, Ronnie was elected captain of the BBC rugby team, is to get a new set and tells a joke about Yehudi Menuhin, the final drama is a thriller called 'I Married a Poltergeist'. The musical performer is Elaine Paige. Episode 5 Mar 20, 1985 Sketches include a restaurant where the waiter wants the diners to hurry up so that he can go, we have a message from Dr. Paul Smith who is the president of the Royal Society for the Relief of Sufferers of Mispronunciation, two tramps discuss their lack of money, two former actors who are now cat burglars meet while working, two tramps discuss food, we go the Trocadero Bootle and listen to Cliff Clive and the Jivers, Ronnie tells us about his school days, we go the Alhambra in Southend and see one of Max Speed's last performances with The 'Nifty Nickers' Girls, the final drama is a spy thriller called 'Tinker Tailor Smiley Doyle'. The musical performer is Elaine Paige.